Learn how to gain sales insights on LinkedIn by considering a prospect’s level of leadership, activity level, interests, career goals, groups, and recommendations. There’s something inherently satisfying about solving a jigsaw puzzle. You start with nothing but a pile of tiny cardboard shapes. As you analyze and sort the pieces you start to see patterns – some of which are small and others more apparent. Before you know it, you have a corner, then two sides, then a frame. There’s a genuine feeling of accomplishment when you snap that last piece in to complete the picture. 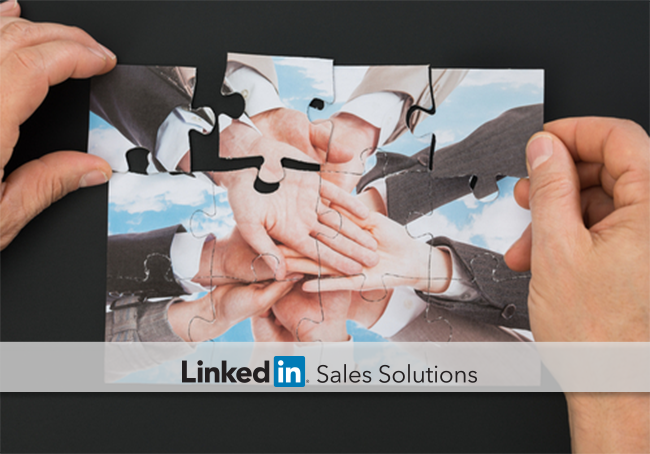 Social selling is a more pragmatic approach to putting together a puzzle. You have bits of information that you piece together to create a clearer picture. But for sales pros and demand generation marketers, not every puzzle is worth solving. To ensure you are getting the biggest return on your limited time, it’s important to determine whether the puzzle pieces are worth aligning to form a picture of success. LinkedIn’s Advanced Search gives social sellers the ability to quickly build a group of potential buyers via a search. But once you’ve identified them, how do you determine whether they’re a good person to pursue for a conversation about your value proposition? 1. Are they leaders or individual contributors more focused on specific activities and skills? As a marketer, I try to understand the sphere of influence someone will have and often look for key words that indicate leadership and decision-making responsibility. For example, ‘leader,’ ‘driver,’ ‘strategy,’ ‘change-agent’, etc. In complex B2B sales, I know there will be an element of change management and/or consensus buying. Finding leadership attributes give me confidence that this person can potentially transform their organization via social selling. I also like to see strong metrics within a profile that demonstrate success and capability to drive organizational change. There will be roadblocks to overcome and stakeholders to win over, and this type of person has a track record of successfully maneuvering them. 2. Are they publishing or sharing content? Another strong indicator is whether they’ve published any LinkedIn posts. Thought leaders who can articulate engaging stories are great allies for spreading the value of social selling within a company and industry. Ideally they will have rich media in their LinkedIn profile, such as a video or eBook. This gives me a sense of their value of content marketing, which is foundational for successful social selling. Interesting content in a profile helps amplify their professional brand and potentially leads to inbound leads for the rep.
3. What interests do they have outside the office? Interests above and beyond work are also critical. Especially if you are looking for a way to build rapport with that initial outreach. Volunteer groups, alumni associations, and other activities can be critical in securing that first meeting. 4. What are their career goals and what have they achieved? Surpassing career goals and having a clear trail of success are other qualities to look for. This is a good indicator of the ability to lead a team in a complex environment and have decision-making authority. 5. What kind of groups do they belong to? The types of groups they have joined are another good indicator of motivation. This demonstrates two key attributes: 1. they see the value in having dialogues with customers on LinkedIn (or at minimum, observing them to better understand needs) and 2. they are curious about industry trends and want to stay ahead of them. 6. What do others say about them? Finally, a good set of recommendations on their profile indicates an ability to develop solid relationships, achieve difficult goals, and provides insights into their level of influence. Great recommendations from leaders, peers, and direct reports are table-stakes when looking for a transformational champion. Go ahead and try this exercise with one of your sales prospects right now. How is your puzzle coming together? Is it solvable?